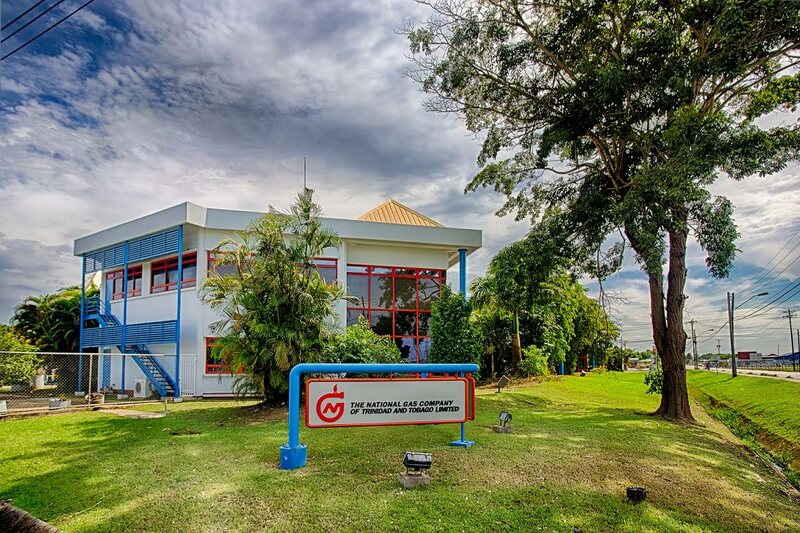 The National Gas Company (NGC) is ready to go global. “Our vision at NGC is not to be a domestic player. There is no room for domestic companies operating in today’s world in energy. You’ve got to be an integrated player across the value chain but you also have to be operating in multiple jurisdictions to reduce risk and improve the richness and consistency of earnings,” chairman on the State gas company, Gerry Brooks, said Tuesday. 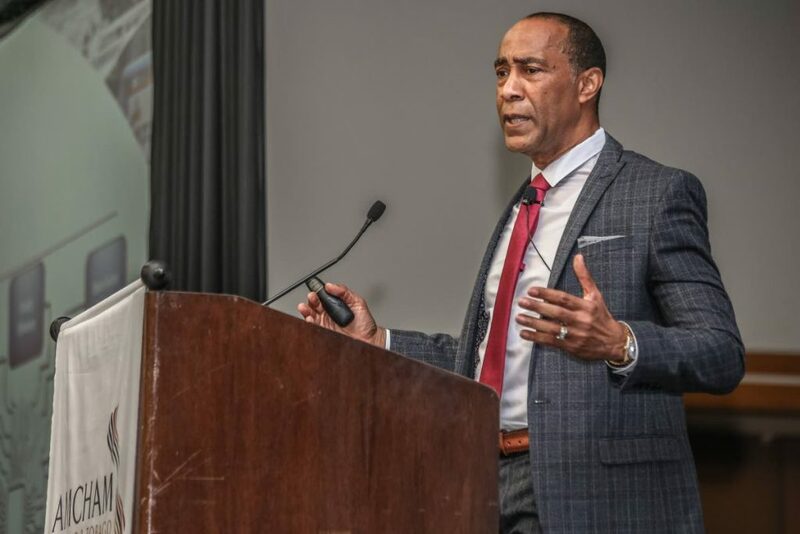 Brooks presented an economic outlook for TT and the NGC at a breakfast meeting hosted by the American Chamber of Commerce of TT at the Hyatt Regency, Port of Spain. Gas and energy-related business will be the catalyst for sustained growth in the country and the company to be sure, he said, but the NGC’s intention is to be able to sustain that growth. Part of that is exploring opportunities beyond TT’s borders. The group has long considered options in Africa, and last year, it signed a term sheet with Venezuela to start processing natural gas from the across-border Dragon field, as well as a gas agreement with Grenada. Its first overseas office, however, will be in Guyana, scheduled to open later this year, Brooks said. The South American nation, also part of Caricom, is on the cusp of an oil boom, with the first commercial oil production expected next year of up to 100,000 barrels of oil per day, gradually increasing to 500,000 barrels per day by 2023, catapulting Guyana into to the top 30 oil producing countries in the world. Gerry Brooks, chairman of the NGC Group of Companies presents the feature address during the AmCham TT Economic Outlook meeting at the Hyatt Regency, Port of Spain on Tuesday. While Brooks acknowledged it was more of an oil push, with natural gas there mainly used for reinjection, TT cannot afford to ignore Guyana, especially since so many of the major energy multinationals have already started setting up a presence, most notably ExxonMobil, who were the first to strike oil. “Guyana has been described as the sweetest deep spot in the world so we want to deepen our approach. We want to provide infrastructure assistance, ship to shore services, logistical support, as well as collaborations with the UWI and UTT and liaising with local (TT) companies,” Brooks said. Notwithstanding, he did acknowledge that there were political tensions in the country that needed to be handled with care. The NGC also last year signed a commercial agreement with Global Petroleum Group, a Russian company that found gas in Grenada. The agreement will allow NGC first dibs to access, process and sell Grenada’s gas. Brooks said an appraisal well will be drilled later this year. “That will tell us what the prospects are and allow that gas to flow through to Trinidad, which will give Grenada income and TT content,” he said. It’s not just about TT participating regionally, he said, but NGC will be using its capabilities and infrastructural access to market and leverage natural gas in the region for the benefit of the territories it works in, he said. As part of its trajectory, the company has refocused and re-engineered its strategy and what its role is as a transporter, aggregator, merchant and marketer of natural gas across the gas value chain. “We are ruthlessly focused on profitability and ruthlessly focused on value added. We are not spending time on recreation parks, playgrounds, fete tickets, et cetera. Our business is to focus on gas and gas-based developments,” Brooks said. When he took over the business, he said, the situation was dire. “We met $4.6 billion in claims, and gas production was 3.2 billion cubic feet (bcf). Negotiations had not started and many were outstanding. (Commodity gas) prices and production collapsed. It was very frightening,” he said. Since them, the company has managed to turn double digit increases. Profits in 2015 were $515 million. In 2017, they were $2.2 billion, he said. Gas production increased to 3.6 bcf with a hope for 3.8 bcf to 3.9 bcf in 2019-2020. The company’s targeted growth trajectory in 2018 and 2019 is 12.5 per cent annual compounded growth, and a further 12 per cent increase in profits in 2018, a trend Brooks is confident the company will maintain. NGC’s asset base is $43 billion, and the company has already identified areas it can target for inorganic growth. Over the last year, negotiations have been completed with EOG Resources, BPTT, Caribbean Nitrogen Company, Nitrogen 2000 and Nutrien. For 2019, the company hopes to conclude negotiations with MHTL Complex, Methanex, and local content with BP, as well as further discussions on Atlantic’s train one. “The energy sector expanded by eight per cent in 2018 and we are hoping for nine per cent in 2019. The economy will pick up. One of our objectives is getting to growth and maintaining it,” Brooks said. Reply to "NGC’s global vision"